ICO Event Amsterdam is on its way to provide participants with useful insights about the growing world of ICOs. 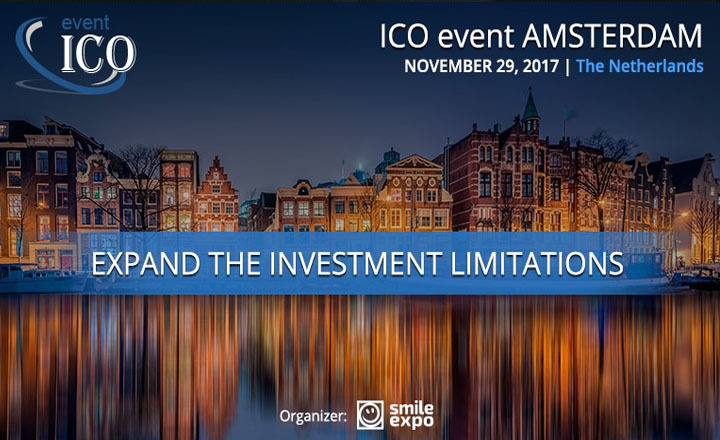 The conference will be held on November 29, 2017 at Postillion Convention Center, Amsterdam to highlight the presentations, exhibitions, and networking activities that Smile-Expo has prepared for you. Through this convention, you will know ICO on a deeper level: ICO in the international economy, its advantages, and its legal regulation in different parts of the world. Also, you will receive pieces of advice from key industry leaders that can help you adapt to the new age of investment. The one-day conference will start from 10 am to 6 pm. It is advisable that you come early to absorb all the information that ICO Event Amsterdam has for you. This will also give you enough time to examine projects in the exhibition area and have conversations with other guests. ICO Event Amsterdam is the perfect opportunity for you to learn a great deal about ICOs and their impact on the cryptocurrency industry. Buy your tickets now and be part of this exclusive event.